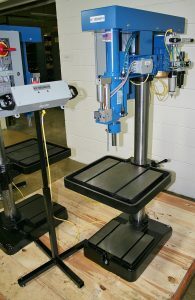 Self Feeding Drill Units Archives | Hypneumat, Inc.
Add new life to an old drill press base. 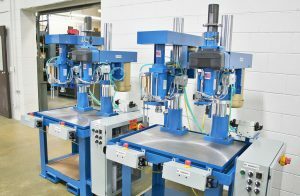 Hypneumat mounted a DQ36EHB drilling unit with new controls and opto-touch sensors to an existing drill press base. 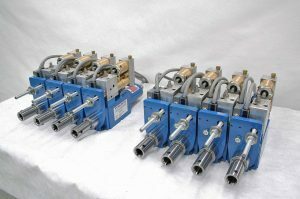 This provided the customer with a cost effective automated drilling machine. 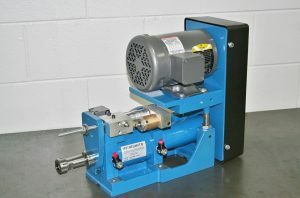 Hypneumat has manufactured an integral 3 spindle drill unit with ER16 quick change tool holders and a 2 HP motor. 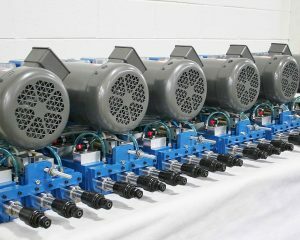 16 of these automatic drill units will be set-up inline on a gantry system to drill 48 holes in a row. 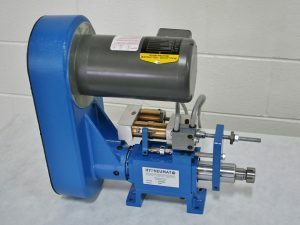 Check out this Hypneumat 4-spindle drill head with ER16 collets and guide rods powered by DQ350 deep hole auto-feed unit. 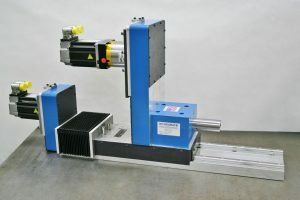 Automatic drilling units with 10,000 and 14,000 RPM spindle speed options for drilling of smaller diameter holes. 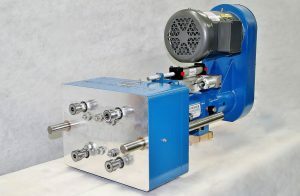 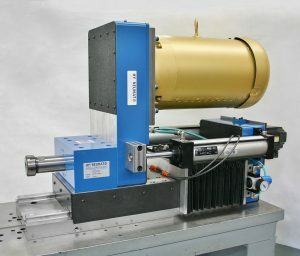 Check out the S200 Series Drill Unit with faster spindle speeds.